Chicago Folklore Ensemble presents the songs and stories collected from Chicago immigrant musicians. In an upcoming series of concerts, string quartet and storyteller come together to narrate musical and oral histories of Chicago immigrant musicians. 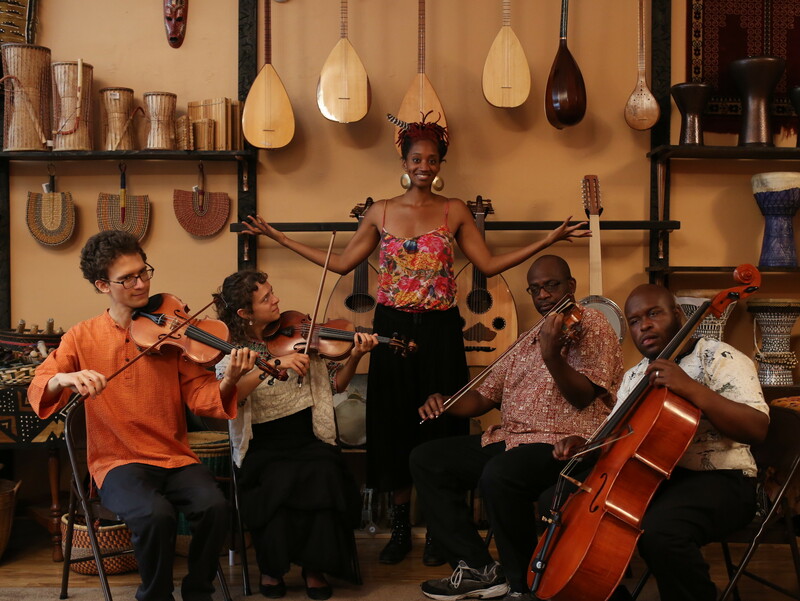 The Chicago Folklore Ensemble will premier original arrangements of music and stories collected directly from master musicians hailing from Ghana, Argentina, Thailand, Serbia and Jordan. The performances of this new ensemble will take place October 15, 7:30pm at the International House at University of Chicago; October 23rd, 7:30pm at the Musical Offering; and November 8, 12:00pm at City Winery. After interviewing and studying under five of Chicago’s musical elders, the ensemble arranged pieces that weave together their traditional songs and personal stories. The elders interviewed include: Baha’a Abu-Taha, singer and oud player from Jordan; Abee Mensah, keyboard player from Ghana; Alba Guerra, singer from Argentina; Phiwan Phonwiang, khaen player from Thailand; and Jovan Mihailović, violinist from Serbia. The show intertwines drama, humor, and nostalgia with philosophy, history, and culture. Music and oral history humanize the immigrant experience and encourage cross-cultural celebration. The Chicago Folklore Ensemble is supported in part by the City of Chicago’s Department of Cultural Affairs and Special Events (DCASE) and by Chicago Artists Month (CAM). To learn more about the Chicago Folklore Ensemble, visit www.compassroseviolins.com/chicago-folklore-ensemble.